The Interfaith movement was born in 1893 when four thousand people gathered at the World’s Fair in Chicago; that fair also hosted the Parliament of the World’s Religions. The hightlight of that Parliament was Swami Vivekananda, who showed his listeners how they could live a human life, filled with noble ideals and values, and pursue the common path towards divinity. Because we all share this small planet Earth, we have to learn to live in harmony and peace with each other and with nature. This is not just a dream, but a necessity. We are dependent on each other in so many ways that we can no longer live in isolated communities and ignore what is happening ouside these communities and we must share the good fortune that we enjoy … As interdependents, therefore, we have no other chocie than to develop what I call a sense of universal resonsibility. Today, we are truly a global family. What happens in one pary of the world may affect us all. 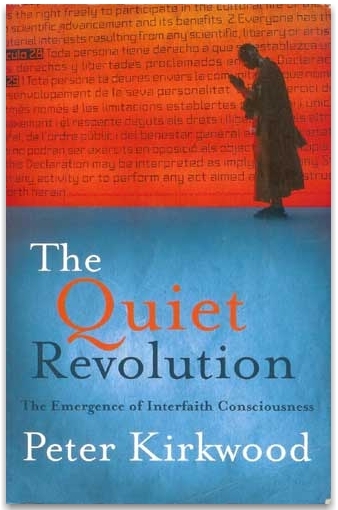 The Interfaith movement is surveyed briefly and key issues raised by interfaith consciousness are examined. Does this lead to a sort of homogenisation, a sort of universal faith? The author examines this posssibility. The basis for dialogue between the religions is the most important facet of inter-relgious activity as it runs counter to fundamentalism. Can pluralism in religions and religious diversity provide any answers to fundamentalism? Interfaith relations are not an optional extra, nor are they something new for this day and age. They are an imperative for world peace, for, as Hans Kung is wont to say, there will not be world peace until there is peace among the religions. This is a most useful book for reading, reflection and action. While the material may be new territory for readers who have only known the faith and teachings of their own religion of birth, the art of crossing over and passing back is always an enriching one. One always returns to their own faith incredibly enriched with a greater sense that the Divine has many paths up the mountain for all his or her children.